I was thinking on how quickly everyone is now to assume a picture is Photoshopped these days when something looks too good to be true. But other than manipulating images to try and mask reality, there are practical reasons to adjust images. 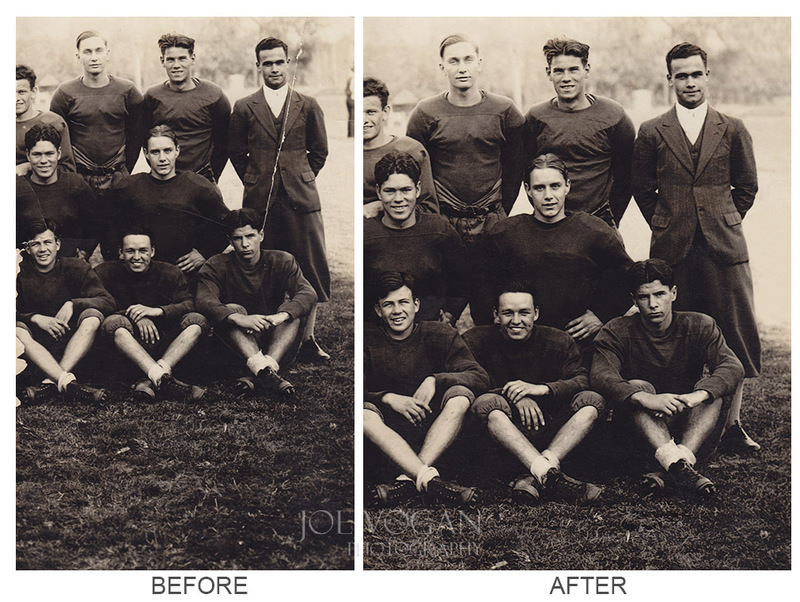 One great use of the Photoshop tools is to salvage an old photo that has been mistreated or has faded with time. Here are two examples where a small amount of retouching made a noticeable difference. The first picture I downloaded from the Library of Congress. 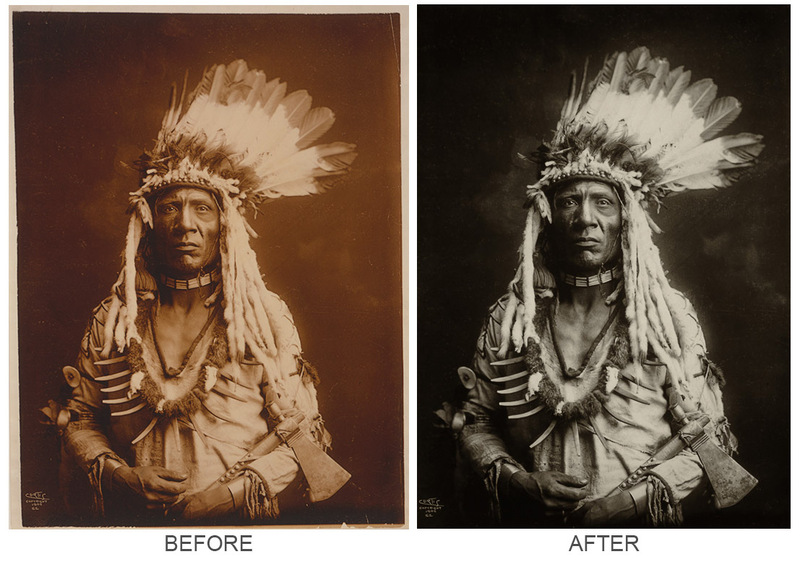 It’s an old Edward Curtis shot of “Weasel Tail” from about 1900.The scan from the transparency has a red tint and there are a few light scratches and some dust. I used a spot healing tools and then adjusted the color and contrast back to a richer black & white using the Nik Silver Efex Pro 2 plug in. Probably less than 10 minutes of work made this much change. The second photo is an old family photo of my grandfather from the early 1930s. I scanned the small print using an inexpensive Canon flatbed scanner and then cleaned up the crease and imperfections mostly using the spot healing and cloning tools again. I also cropped it slightly. This photo was probably another 10-15 minute project. The point of this post is to plant the seed that if you have treasured photos that have lost some lustre-you can still restore them fairly easily these days using some of the same tools more often used to make celebrities appear flawless. This entry was posted in Digital Editing and tagged digital imaging, editing, old photos, photography, Photoshop, repair, retouching by Joe Vogan. Bookmark the permalink. Hey Joe, hope you are well. Great website, I look at it for inspiration now and then for my graphic design projects.